News TV Channel / NTV is a Turkish nationwide television news channel. It has been partnered with MSNBC since May 2000. The channel consists mostly of news but it also shows football (soccer) games, especially La Liga matches, as well as the occasional NBA game. 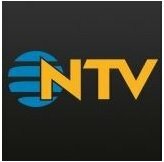 NTV was founded in 1996 as a subsidiary of Cavit Çağlar's Nergis Group (hence the initialism) and as the first news channel of Turkey. In January 1999, it became a member of the Doğuş Group family. The success of NTV changed the Turkish media industry and started the era of thematic TV channels. NTV primarily broadcasts national and global news as well as quality documentaries and programs on the economy, culture and the arts, lifestyles and sports.